So I started this whole blog for my dog Harley and my cat Lilo. You can't question my dedication and adoration for my pets. However, I will admit that the whole task of cleaning up dog poo is still a struggle! I'm lucky that my husband does most of the cleaning up work but what if you could have an easier, simplified pet waste cleanup system? In this post, we'll have a little talk about best pooper scoopers for dogs from our experience and recommendations of others. How Do You Take Care of The Poop? Not to be underestimated for its simple design, this ‘natural poop scooper’ is more effective than most. Even if it’s runny loose dog poop that is difficult to handle, this effective pooper scooper rake with its extra long handle can do the job. The metal wire rakes are thick, strong and sturdy. The natural hardwood handle is treated with oil for longer durability. Use it on grass, pavement, sand and chips (just not on frozen terrain). Its lifetime guarantee especially makes it a no brainer. We love our Natural Poop Scooper and recommend it to our family and friends. I found this shovel design interesting. It was good to know it worked just as effective. With a solid, durable one-piece design, there are no parts to replace or mess around with for this scooper. It’s very easy to use and sturdy. All you have to do is scoop. Then raise vertically to drop the poop into the bag. You don’t come into any contact with dog poop at all. Comes with 5 Doody bags or you can use any bags! Grocery plastic bags, biodegradable bags etc. The Nature’s Miracle Jaw Scooper is one of the best pooper scooper that helps in cleaning dog poop. It is especially useful as it is lightweight. The less weight allows it to be used even outdoors without much effort. The ergonomic design is another benefit as it helps in effective cleaning of the poop in the minimum time. Its unique pick-up design also takes care of the fact that it is functional on all surfaces. A new version came out recently – check it out here. The GoGo stik is the ultimate solution for cleaning up dog poop. It ensures that the messy dog pooper clean-ups are the things of the past. It allows for the cleaning of the poop without having to bend down. The length of 36 inches of the cleaning arm ensure wide coverage with least of the effort. It also allows you to beautify your lawn again without having to smell the poop while doing the cleaning job. Check out the bags designed for use with it. Three years warranty. Guaranteed durability. Looking for one of best pooper scooper for your dogs? This pooper scoop makes dog waste cleaning quick and easy. The special prolonged design ensures the whole effort is very sanitary. It is also child safe. The design makes sure the entire waste is easily picked up from the ground. Completely clean the lawn with no waste to be left. This poop scooper is one of the most popular. Its excellent quality has garnered a lot of admirers in short span of time. This poop scooper is designed to help dog owners with its long arm. The arm has been designed so users don’t have to bend. This scooper is simple to use. It makes scooping easy as it can easily pick up dog poop for proper disposal. Its simple design makes it suitable to be used by even children. The long arms of the scooper makes sure that the waste is properly cleaned. The user doesn’t have to bend down. Made from extremely durable materials. Can last for years. The superb quality of grip which is used to carry it outdoors and make the cleaning look effortless. The tool is made from a special alloy of the metals which prevents it from getting rusted. The rust-free operation is also vital for ensuring the product could be easily cleaned by the simply rinsing it in water. It is ideal to be used outdoors, especially in the lawn to clean the poop of the dogs. Good quality of rubber grip. Ideal for the outdoor use. Not suitable for a large quantity of poop. No protection from microbial growth. No storage container for the waste. Another thing you might want to consider is the bags in which the waste is to be disposed of. A good example is the pack of 300-Count Earth Rated® Dog Waste Bags. The durable and the leak-proof design ensures that the waste does not fall out of the bag. The tissue dispensing format makes it extremely easy to use. The bags also come with an added fragrance of lavender which hides the smell of the poop. The bags are ideal for both the use in outdoors as well as indoors. The extra-long sleeves of the bags make ensure the waste never comes into contact of the holder thereby making it safe and healthy option to explore. Believe it or not, most dog owners struggle with this initially. Dog poop is not only disgusting to smell, but the handling can require quite an effort. While some people leave their dog’s poop in their lawn or in the open, it might not be the best thing to do for the environment. Dog poop contains a variety of harmful micro-organisms that could harm your dog. It contains bacteria like E.coli and Salmonella which could cause extreme pain and headache to the canine. The stool has an array of parasites which thrive on the same like roundworm, tapeworm, etc. that could cause digestion problems in the humans also. Due to the rising concern for dogs’ health as well personal hygiene, many companies are coming up with Pooper Scooper equipment that let you do the job without coming in physical contact with the same. A clean pooper scooper can help you. If you want to let your dog go indoors, read this post on why these indoor dog potty work. The tool has two ends one which picks up the refuse and the other disposes it off into a bag. There are plethora of designs available in the market for the same. Choosing the best option amongst the options could be an uphill task. 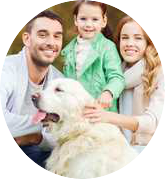 The ideal tool would be the one which simplifies the dog waste clean-up while taking care of the owner’s health as well. Another thing that needs to be kept in mind is the place of storage of the scooper pooper. It must be stored at the store away from the kitchen and must be kept far from the reach of children and must be cleaned on regular intervals to avoid germ build-up. Various diseases can be transmitted from one dog to another and even people through poop infected by bacteria. Salmonella and roundworms are just one of these diseases. Some dog poops can be transported by accidentally stepping on them, or when they get carried into waterways. Micro-organisms and parasites can live and last in the dirt for a long period of time and transmission of bacteria to dogs or even people is a big possibility. In the event that you accidentally step on a dog poop, you’ll realize how important it is to tidy up after your dog. For places like play areas and parks, it is basic courtesy to tidy up after your dog because you don’t want other people to get annoyed when they’ve stepped in dog poops. When you let your dog out and free to play in your yard at home, you may find it unpleasant to step into your own yard because you know there could be dog poops around. The same goes for public places – neglecting to tidy up after your dog’s poop constrains others to appreciate the place. Neglecting to tidy up after your dog can also prompt bad odors. It can also pull in flies and different bugs to the place. Dogs will sooner or later try to eat their own or another dog’s poop– this could be unavoidable. Dogs are scavengers in nature. Going back to avoiding diseases, stools carry microorganisms that are not safe for you and your dog. Rodents, particularly rats, can feed on dog poop. Dog poop lying around is the main cause of why you might have a rodent or rat issue in your area. Cleaning up dog poop is of course, unpleasant, however it is just one of the responsibilities of owning a dog. You have to watch over and tidy up after your dog. This is for the well being of you and your dog and your community.